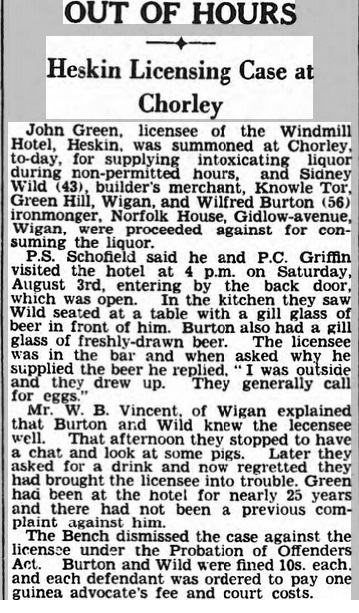 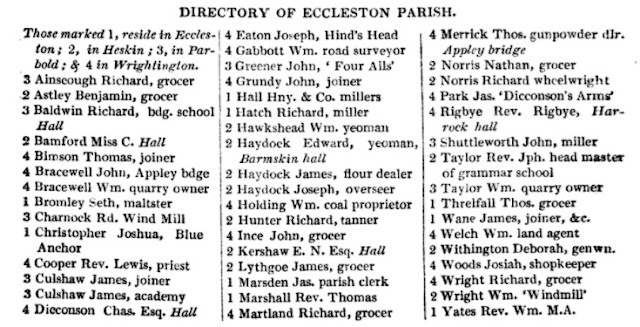 The pub is first recorded on the 1825 Baines Directory when a William Wright was the landlord; at this time it was known as the Windmill Inn. 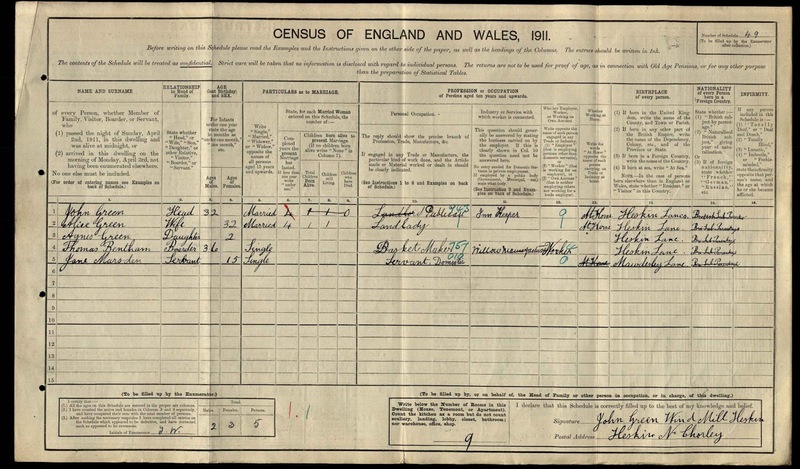 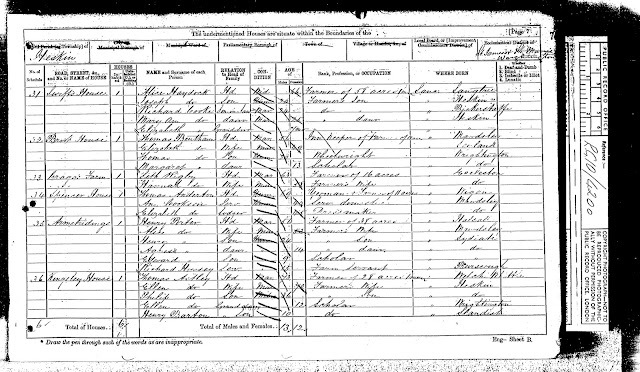 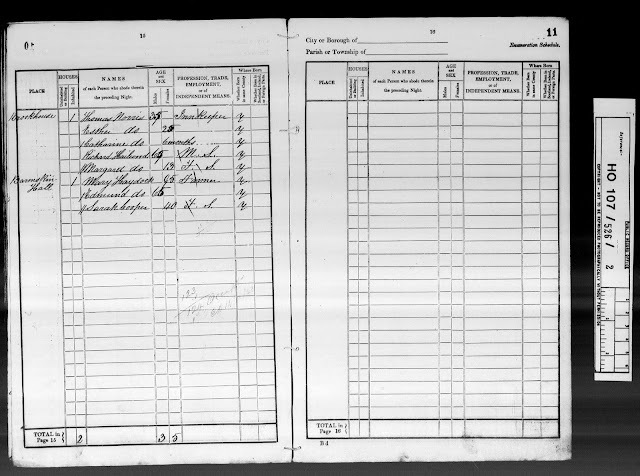 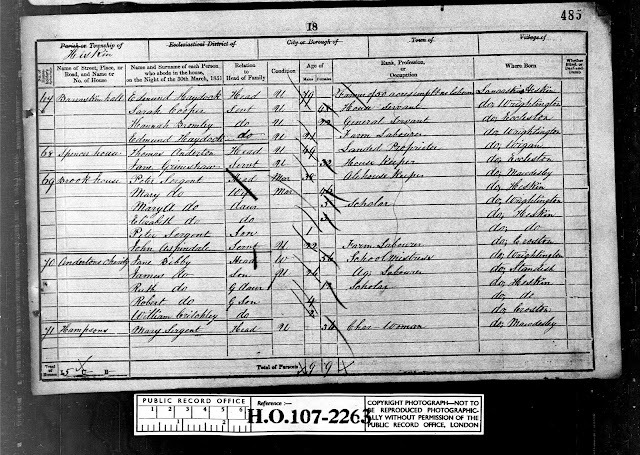 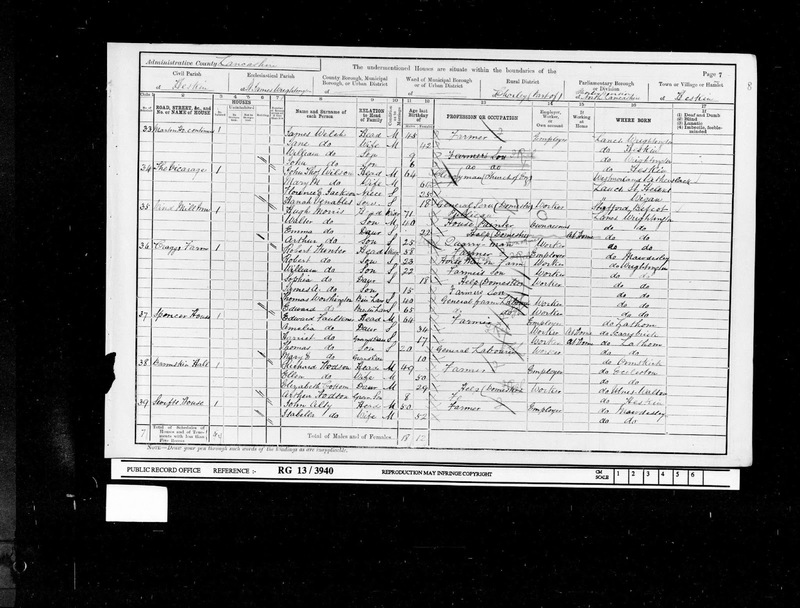 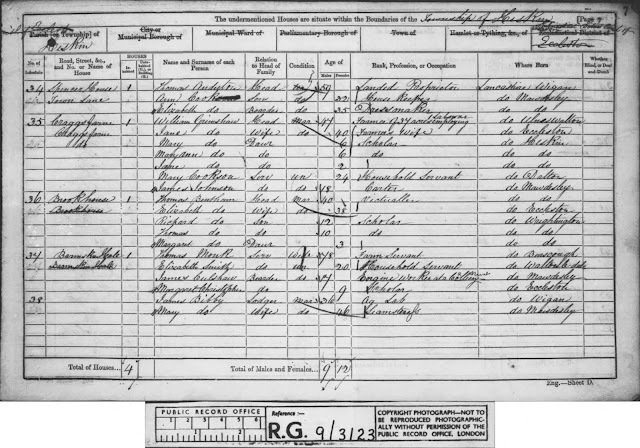 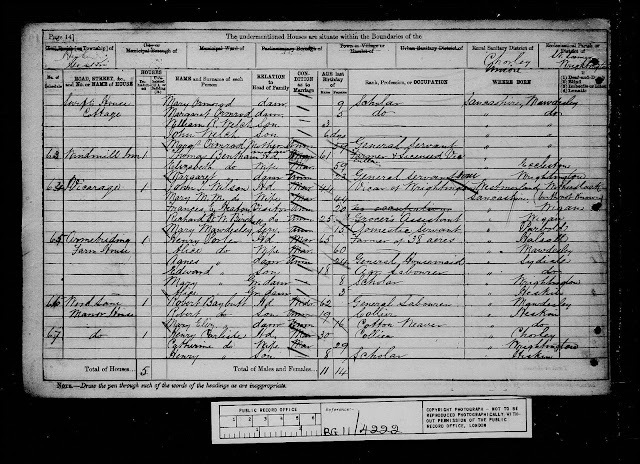 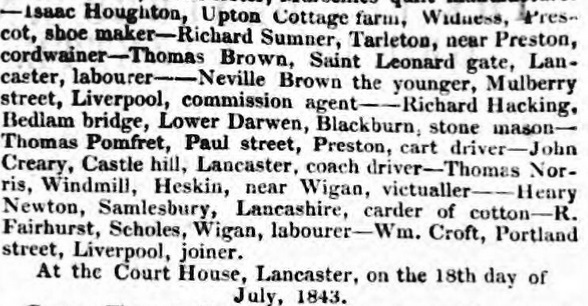 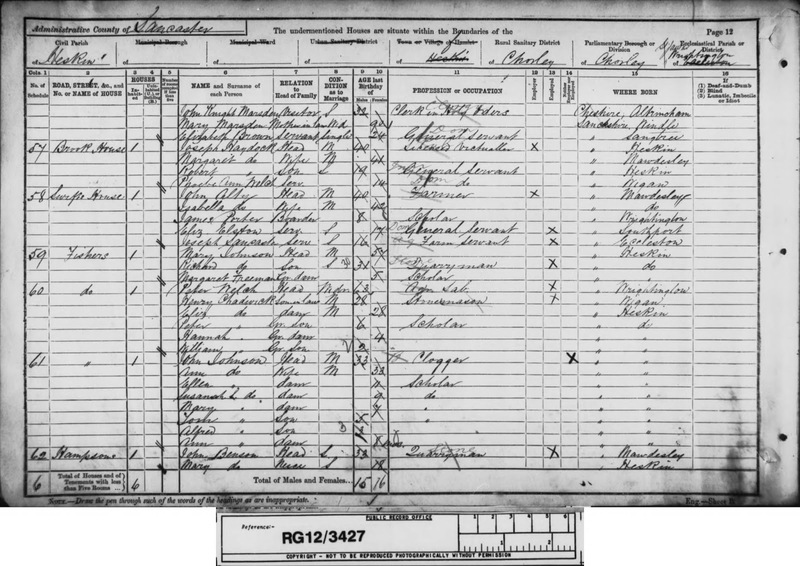 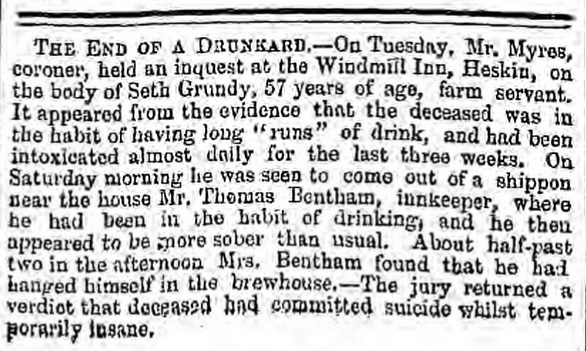 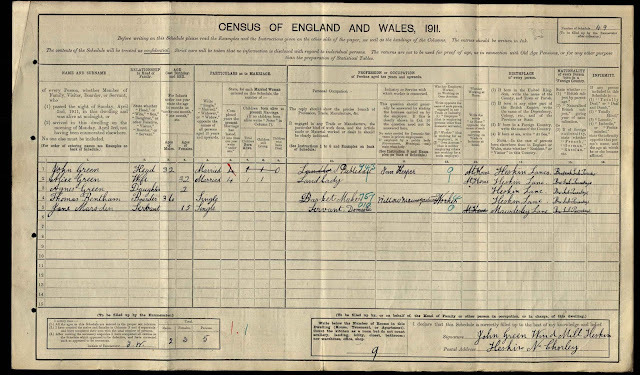 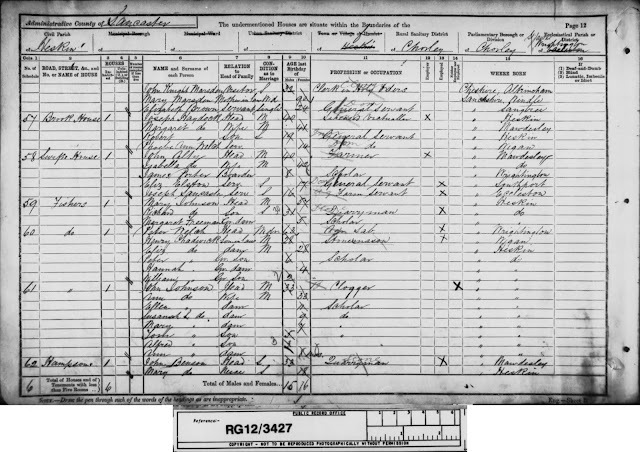 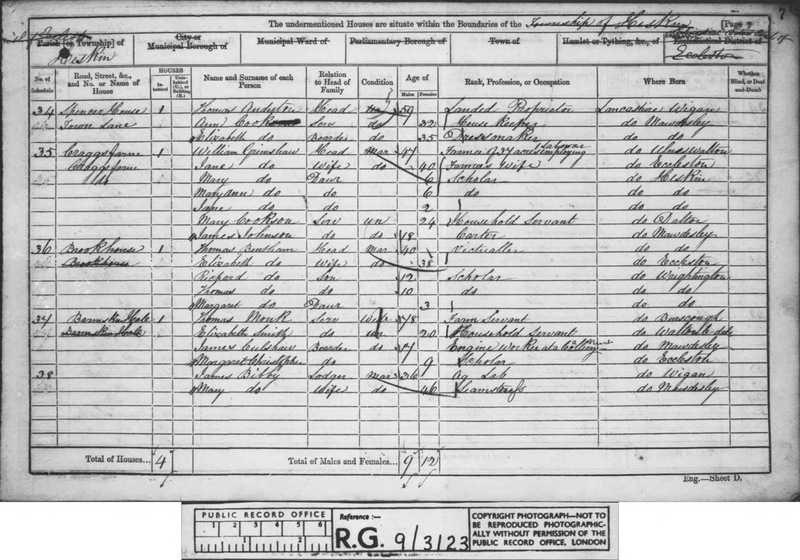 On the 1841 census it was then referred to as the Brook House although in 1843 the landlord Thomas Norris is recorded in insolvency records running the "Windmill Inn", and over the decades that followed it fluctuated between the two names. 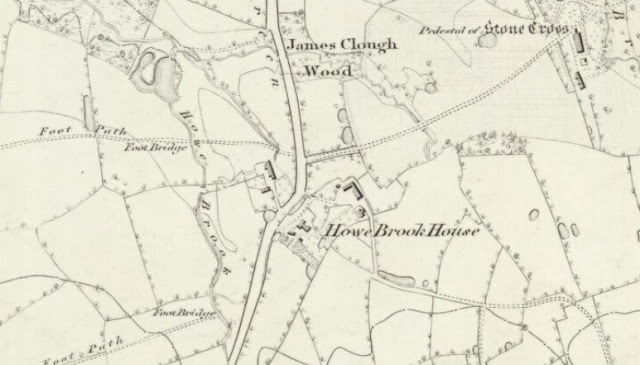 The building was originally called Howe Brook House as shown on the 1845 map below; built in the early 1800’s alongside Howe Brook as a residential property it later became a pub using the name of the Windmill Inn. Listed landlords at the Brook House were William Wright (1825-), Thomas Norris (1841-43), Peter Sergeant (1851), Thomas Bentham (1861-81), Joseph Haydock (1891), Hugh Morris (1901) and John Green (1911-1935). 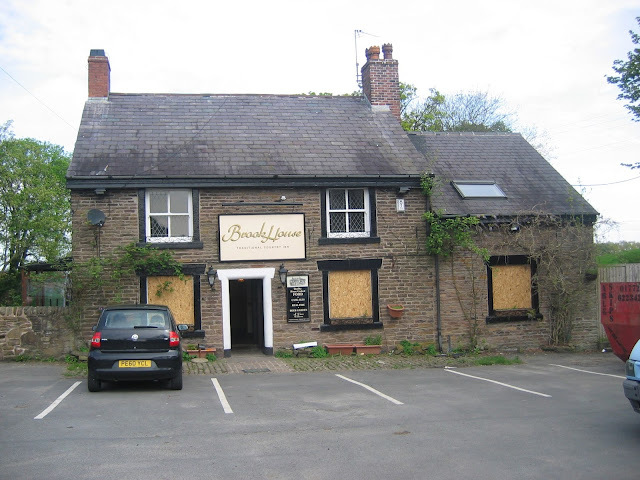 It is located on Barmskin Lane in Heskin and closed at the beginning of 2012 and was sold by auction, at the same time surrendering its premises licence. 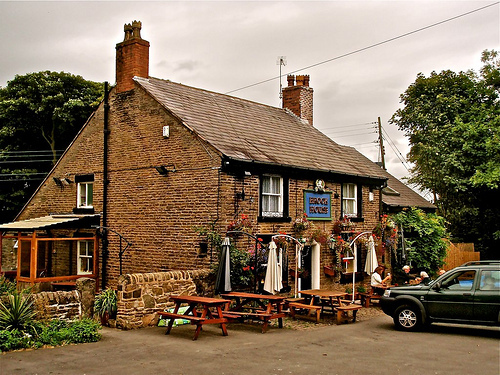 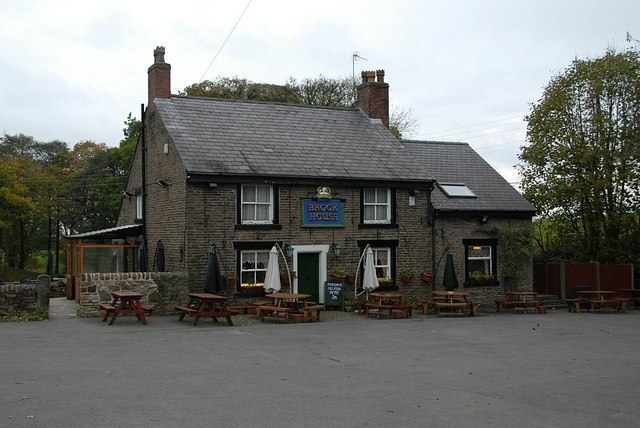 The pub is currently subject to a planning application for conversion to a private dwelling. 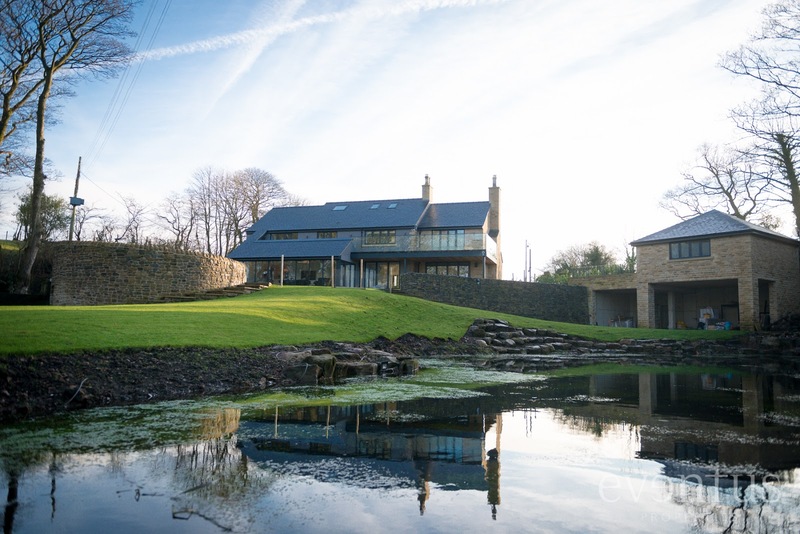 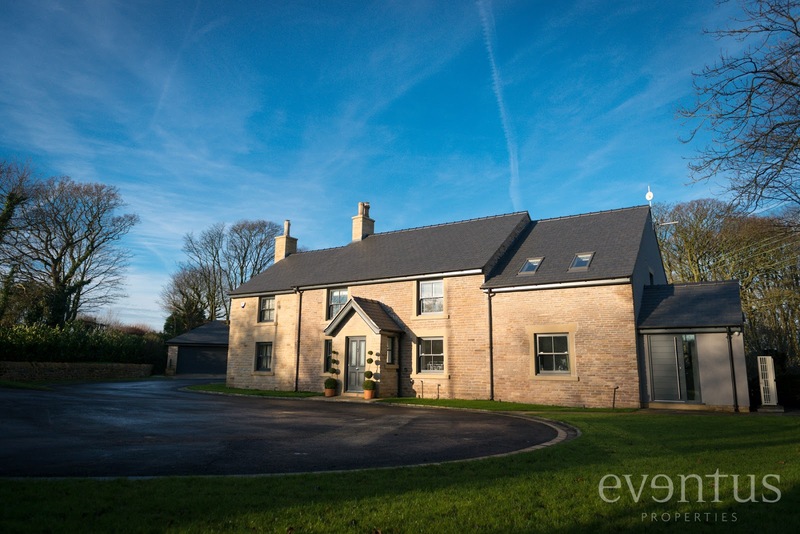 The application for conversion to a private dwelling, which was recommended for refusal, was withdrawn prior to the Chorley Borough Council Development Control Committee meeting on 30 October but has later been approved and the building has been tastefully renovated as shown below (thanks to Peter Dickinson Architects for the image source).